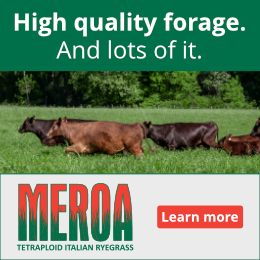 Having forage in the field for livestock to graze means it needs to be grown and reserved during the growing season. This forage can come from various sources, but it requires planning so that it is suitable and available. Several options exist. Some operators may use rested public or private range land. Public agencies may look favorably on switching to fall or winter use. Rested rangeland can provide 5 to 40 cow-days/acre of grazing, depending on the resource. Forage quality is always a consideration, but native ranges should have adequate quality for dry pregnant cows. Crested wheatgrass pastures will probably require some protein supplementation. Rested native meadow may supply from 50 to 200 cow-days/acre of grazing in the fall and early winter. Forage quality and quantity are usually higher than rangeland, and these areas are usually on private land, so management is less complicated. Crop aftermath, particularly alfalfa hay re-growth, can produce a large amount of high quality fall and winter forage. The quality is good, providing for pregnant dry cows, and growing stock in the early part of the winter. Some operators leave their entire hay crop standing form 80-120 cow-days/acre of grazing with no machinery expense. Annual crops are another source of fall and winter forage. These include cool season cereals, brassicas, legumes, and summer annuals. Extension and research personnel in the Pacific Northwest have been investigating the parameters for various “non-traditional” species and varieties for this use. Annual pastures can produce 200+ cow-days/acre of grazing that can be used in fall and winter. Experience in the Pahsimeroi Valley of Idaho, at 6000 feet, found that a barley-oats-peas mixture produced 292 cow-days/acre of grazing at $0.39 per head per day, while on the same ranch, cows being fed hay were costing $1.33 per day. Warm season annuals include Corn and Sudan/Sorghum-Sudan grasses. Cool season annuals include barley, oats, winter and spring wheat, peas, vetches, clovers radishes, turnips and more. Perennial pasture can be “stockpiled” during late summer and grazed during the fall and winter. More planning is necessary for good results. Stockpiling can be done with any perennial pasture, but some species of grasses do a better job than others. In descending order of preference are: tall fescue, meadow brome, quack and western wheatgrass, orchard grass, timothy, smooth brome and finally reed canary grass. Tall fescue is preferred because it grows later into the fall; has high quality in the fall; and resists weathering better. Successful stockpiling requires adequate rest, suitable amounts of nitrogen and adequate late season water. The pasture to be stockpiled should be managed to begin the rest period with about 3 inches of residual from grazing or clipping. Sixty to seventy-five days of rest will produce the near maximum amount of feed. Shorter periods of rest will provide feed with higher quality. It takes about one pound of nitrogen to grow 20 pounds of forage. This can come from fertilizer N, but research shows that it can just as easily and more inexpensively from nitrogen fixation from legumes in the pasture. Legumes will also increase the quality of the stockpiled forage. Even with nitrogen fertilization, properly managed stockpiled forage can be significantly less expensive than hay, and can often support some classes of livestock with higher energy and quality demands. Besides forage in the field, successful fall and winter grazers control where animals graze. Strip grazing stockpile, crop residue and windrowed forages can double the number of grazing days, provide a level nutritional plane to the animals, and more evenly distribute manure. After putting up hay all summer, you wouldn’t just open the gate to the stack yard and let the cows eat what they want. So why would you do it with pasture? If you have hay residue, you can just about double its use by allocating it. That’s like getting twice as much feed for almost nothing! Efficiency is increased with shorter grazing intervals, because animals cannot tread down and spoil feed. Overall quality is also increased because the animal’s ability to “select the best and defecate on the rest” is reduced. 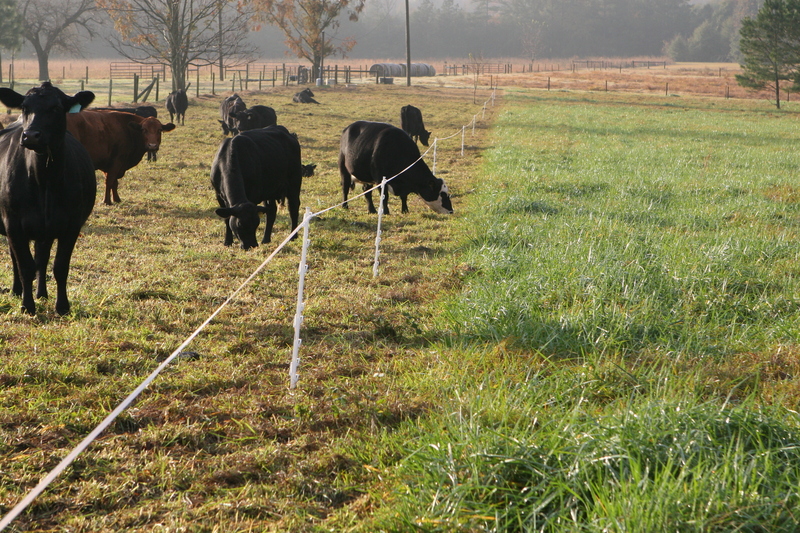 Strip grazing of stockpiled forages, using portable electric fence, is sometimes complicated by the location of water during the winter. So take advantage of the fact that there is no re-growth to be concerned with. Just move your electric fences ahead, away from the watering source, and let the animals walk back to water over the previously grazed area. Your cows may not be able to work in the office for you. But they should do their jobs in pasture. Do you work for cows or do cows work for you? There ARE folks that “work for cows.” I think your cows are your employees and they need to measure up! So give your cows a performance review every year. Cows moved to a new environment, may take up to 3 years to return to their original level of productivity. But if they were born and bred on your place, they need to be able to find their own food, pick the best quality bite available at the time, get pregnant and deliver a calf every year without fuss, wean a calf every year, stay healthy, stay in the herd long enough to cover overhead, and not complain about the weather. Maybe your cows have some additional job requirements. If a cow is not meeting her job description, perhaps she needs to be someone else’s welfare recipient! This includes the athletic cow that can jump clear over the electric fence. Snow doesn’t have to be a barrier to winter grazing. There may be a few conditions where it is difficult or impossible for a cow to graze through, but cows that know there is feed under the snow will work to get it. 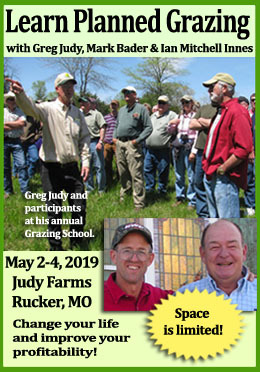 We like to get Jim Gerrish to tell a story at the Lost River Grazing Academy about a trip he made in Canada in his early career to talk about winter grazing. He told the people in Brandon, Manitoba that his cows in Missouri grazed through 10 inches of snow. They told him that was nothing, their cows “could graze through 2 feet of snow, eh?” They moved west to Saskatoon, Saskatchewan where he explained that in Missouri they graze through 10 inches of snow, and in Manitoba they graze through 2 feet of snow. They told him that was nothing that their “cows graze though 3 feet of snow, eh?” They finally arrived in Rocky Mountain House, Alberta in a snow storm, where he reviewed what he had learn from the folks in the previous locations. A man stood up and said, “That’s nothing, my cows graze though 4 feet of snow, eh!” The neighbors confirmed it! He was swath grazing, which made it easier, and these cows were not calving in February, but these cows rustled out all winter with allocated swaths, and eating snow for water! Snow is just one more reason for strip grazing too. A problem that we often see with “set stocking” and snow is that, while the animals are doing their job of finding the “best bite of feed” they can find, they are packing the snow until it turns to ice, making the remaining feed unavailable. Allocating feed with electric fencing prevents the animals from trampling and packing the snow, and preserves the availability. There is an almost an unlimited number of excuses why stockpiling and winter grazing will not work, and they almost all come down to attitude! Take heart from all the operators who are utilizing some or all of these techniques to extend their grazing seasons and reduce their winter feeding costs. They all have different feed resources and situations, but they all share a belief that they can make fall and winter grazing work for them, and they do. You can do it too! Chad and Jim Gerrish, who co-authored this article, are both going to be sharing great information like this as part of the Lost Rivers Grazing Academy in Salmon, Idaho September 13 – 16. Click here for more information! Let a cow be a cow! She can do things never suspected if she has to. They will survive if there is something to eat. Our Land Grant Universities led everyone to the belief a cow needed perfect nutrition at all times and it had to be placed in front of her! Universities do not do a cost analysis on their methods. Buy the Jim Gerrish book, Kick the Hay Habit, and learn what your cows can do on their own. 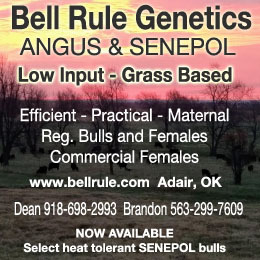 Chip, agreed with ‘let a cow be a cow’, and ‘learn what your cows can do own their own”: Our herd was on a leased knoll last winter grazing stockpiled fescue, when (for us) a big snowstorm dumped over a foot of snow, very mild winter up to that point. Next day we moved them around to the south slope, thinking they’d prefer the sun and the tops of fescue sticking already through the snow where they’d grazed a couple of months before. Our two oldest, lead cows let us know they wanted back to that north slope, in no uncertain terms, by approaching the hot wire and bawling at us face to face. Why did they want back into the shade and wind? We let them in and they commenced to pushing snow out of the way for that fescue stockpiled since August. They knew the best fescue on that knoll, not grazed yet, was at the next set they were headed to the snowstorm struck, so what if under the deepest drifts. Quality feed in quantity was more important to them than snow depth. Their spring calves, never having grazed through snow, just stood back watching mamma, trying to figure out whether a cold nose was worth it. Agreed on “Kick the Hay Habit” as an excellent resource, that asks me to apply principles therein to my own animals and forages, learning from them. Kit Pharo has said “Push your cows, but don’t be stupid”; I need to let them push me, too, on best practices in snow!